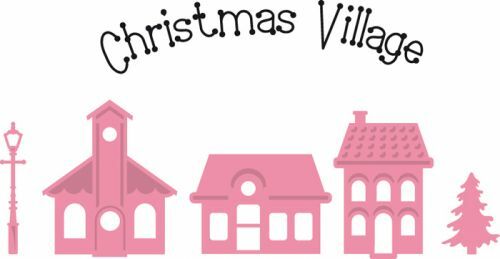 This fab set of Marianne Collectables die cutting stencils comprises two houses, a church, an old fashioned street light and a small Christmas tree; also included in the set is a clear stampwith the words 'Christmas Village'. Use the die cuttersto create various different village scenes, add some snowy effects with diamond glitter glue. The church could be used in many other cards all year round for weddings, christenings etc and the houses are perfect for creating New Home cards. Compatible with most major brands of die cutting machine, can be used on card, paper, acetate and fabric.